Blenders have been gracing kitchen counters for nearly a century. The new technology that has been used in blenders in recent years has buyers clamoring to get the newest model. Add to that the popularity of smoothies and other health drinks and there has been a boom in the business of blenders. We have brought together all of the top models and narrowed the list down of the ones we think are the best. The Breville BBL910XL Boss Easy to Use Superblender stands out from the crowd with its hemisphere blade system. Most blenders blend food unevenly. There is food at the top that gets barely blended, while the food at the bottom may be over blended. The hemisphere system has the ability to push the food up from the bottom while pulling the food down from the top of the blender for an even blend. Then add the pulsing feature and it gives the user complete control of the blending process. 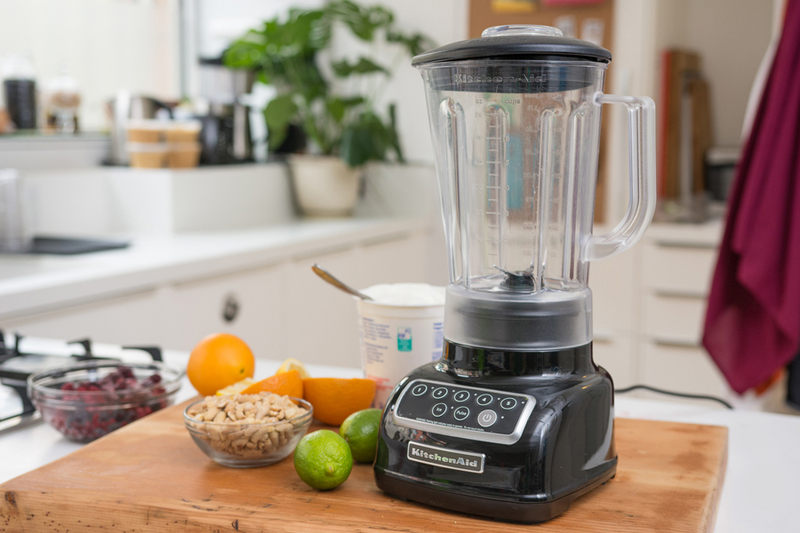 The Ninja-BL660-Professional-Blender kitchen system is much more than your basic blender. 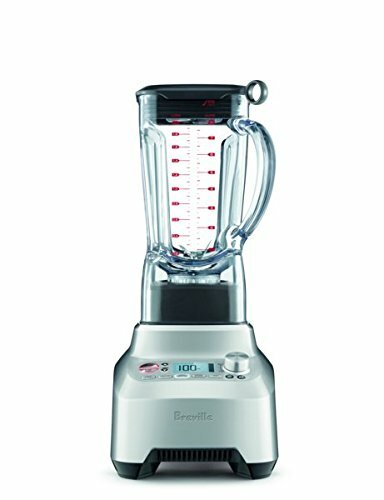 It has a blender, a single serve 72 ounce carafe perfect for smoothies and an optional food processor attachment. 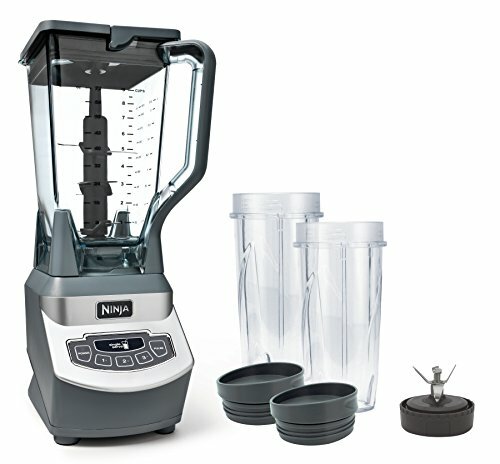 The Ninja-BL660-Professional-Blender kitchen system comes with a 1000 watt motor has the ability to puree fruits and vegetables as well as crush ice. This blender can take ice cubes to the level of fine grade snow needed for a slushee in a matter of seconds. Most blenders do not have the power to handle ice cubes effectively. It comes in a chrome finish, 3 speeds and 6 blades. The Ninja-BL660-Professional-Blender kitchen system is great for making soups, crushing ice, mixing, pureeing and emulsifying foods. Add the food processor feature and you add the benefits of chopping, grating, shredding and even making crinkle cut French fries. There will be one less appliance to crowd the kitchen counter. This kitchen system comes with a 60 day money back guarantee and a 5 year warranty on the motor. Other parts have a one year warranty. 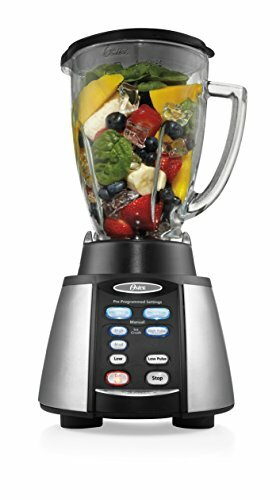 The Oster-BVCB07-Z is an American made blender with an all metal drive. There are no plastic parts which increases its durability and longevity. The Oster-BVCB07-Z has a unique reversing motor. This means the motor will turn in one direction and then change to the other direction. This enables the blender to draw down the food and create an even blending experience. The other unique thing about the Oster-BVCB07-Z is that is handles extreme temperature controls so you can create boiling soups or ice cold drinks with no worry about cracking the glass bowl. The Oster-BVCB07-Z has a 600 watt motor which is powerful enough to crush ice. It comes with a 6 cup glass jar that is dishwasher safe for easy cleaning. It also has 7 speeds and a hi and low pulse feature. The Oster-BVCB07-Z has preprogrammed settings that allow perfect mixing for smoothies, frozen drinks and salsa. It comes in either black or brushed stainless steel.